Train can’t stop! Goin’ way wholesale nfl jerseys too fast! Two men should stop it! Nothing wrong with that plot in my books, as it sets themselves up for potentially juicy spectacles. In between the time when the cheap nfl jerseys two engineers (Denzel Washington and Chris Pine) decide to catch up with the train, it hurdles towards numerous obstacles including a CG of raccoon, a herd of horses, and another train full of school kids. Did you laugh at least at one of those listed crashable items? I did while watching them, as they come off as near-parody with their straight-faced set-up. When things do crash, it’s thankfully CG light. I think I only starred at the screen blankly once thinking about how fake it all looked. Outside of the collisions, we are given a plethora of conversations between the engineers, a train yardmaster and her superiors. These scenes irritated me as wholesale jerseys they didn’t add enough intensity, genuine emotion or Sechs to the film. These chatty scenes are inter cut with shots of the train whizzing buy from various camera angles as if Rodriguez to say "Don’t worry! More train scenes are coming!". I can’t blame Tony Scott for this one. The script needs a bit more of a bite and these jump cuts to the train zipping along are doing their best to make up for that. As for the acting, Denzel Washington, Christopher Pine and Rosario Dawson do their best with what’s given to them but can not transform the generally average script into an enthralling film. This entry was posted on Tuesday, February 22nd, 2011 at 2:30 pm and is filed under 2010s, chris pine, denzel washington, reviews, Rosario Dawson, tony scott. You can follow any responses to this entry through the RSS 2.0 feed. You can leave a response, or trackback from your own site. There’s not a word on IMDb about this film. This image proves nothing! Nothing! 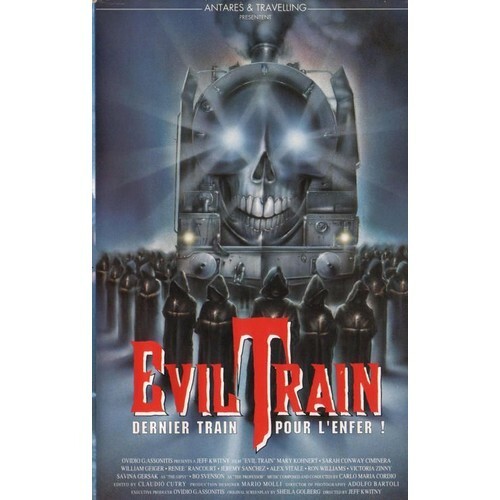 “Evil Train” is actually it’s French title. It’s original title was “Beyond the Dooor III” but was later released on DVD as “Amok Train”. Other titles that it has been released as include “Dark Train”,”Death Train”, “The Train”, and “Winds of Evil”. I expect a review of this film sometime in the future!